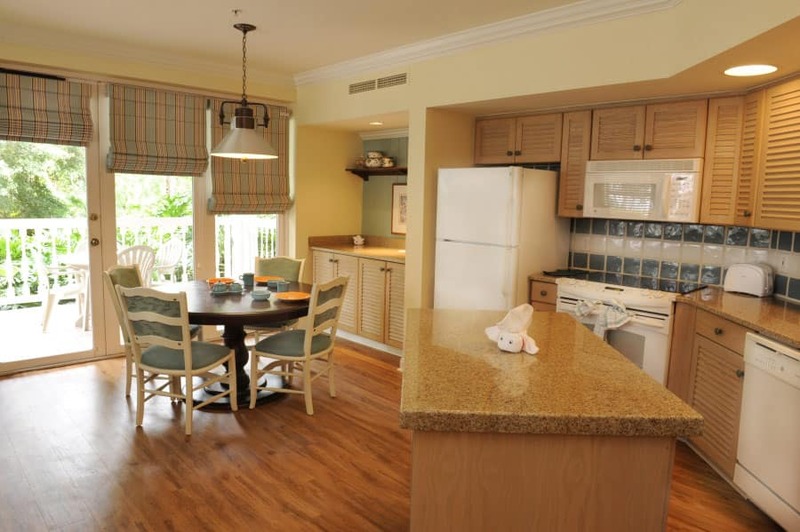 When you walk into one of the newly renovated villas at Disney’s Old Key West Resort, you really notice a difference. I liked them before, but wow, they are really nice. The hardwood floors and whimsical window treatments caught my eye. And I personally think they nailed it with the bedding. The warm colors are very elegant while still capturing the playful nature of Key West. The villas also have fancy new granite countertops, pretty new light fixtures and of course flat screen TVs. 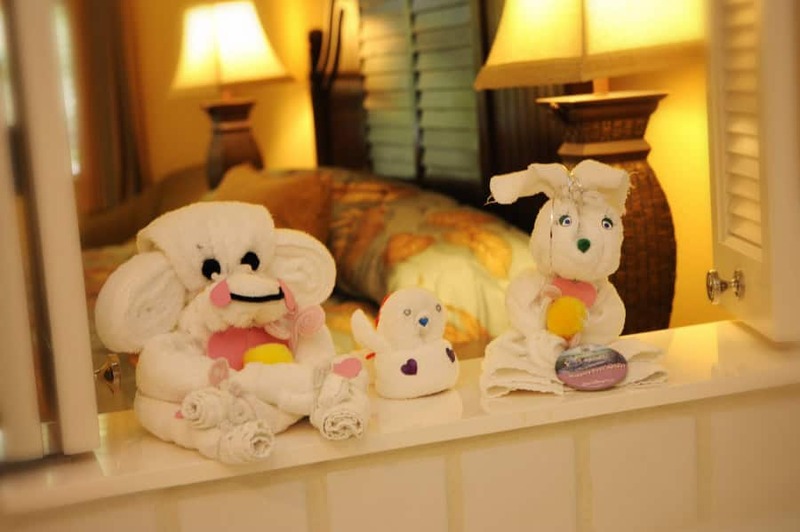 The housekeeping staff sure has fun creating the towel animals placed throughout the villas. Check out the images shot this week. We have been members since 1995 when we bought at Old Key West. We’ve also stayed in Boardwalk, Beach Club, Wilderness Lodge, Animal Kingdom Lodge and Vero Beach. I don’t know why we try so many other resorts, because everytime we do we wind up saying OKW is our all-time favorite!! I just booked our next stay for my grand daughter’s 3rd birthday in the OKW Grand Villa in Sept. ’11 and I’m looking forward to the upgrades. I don’t know how you can improve on perfection, but I can’t wait to find out!! We were in Bldg 25 in early September. We still had rugs in our 2nd fl 2-bdrm. Looking forward to seeing a renovated room next year . We’ll see if my daughter’s studio in April has been updated. Just got home from the Grand Villa. I love the IPOD docks and fllat screen tvs. What a wonderful vacation! OKW is our home resort and we have been members since June 1984. The rooms are larger than any other resort and now with the renovation they are even more charming. This is the best investment we every made and Disney really knows how to make you feel at HOME. We’ve been DVC members since 1996 and OKW is our “home”. So happy to see renovations! We LOVE it! Best investment we ever made. woo hoo!!! we will be there a week from tomorrow!!!! I cant wait, this will be our third trip in a years time!!! Is it true that the renovated rooms will have a sleeper chair in the living rooms? Wow, really nice. I often wish my house and yard could be as nicely designed, themed, and decorated as Disney properties. 121 days to go!!! These pics just got us all hopping around. Can’t wait!! going in 9 days! I hope I get a renovated room.. can we request it? Our “Goofy Group” will be there to participate during Disney Marathon Weekend in January 2011…I sure hope we get one of these “new” rooms! I can’t wait to stay at Old Key West in one month from today. Beautiful!!! wonderful.. we will be there on Nov 7th! can’t wait. I was there two days ago and they were the buildings directly across from Hospitality House. We were wondering what they were up to, looks nice. God I miss Old Key west, will be back soon! Any Idea which buildings the renovations have been made to. Going next weekend and would like to request one. Any Idea which Areas the Renovations have been made to? Going next weekend. Looks very nice. 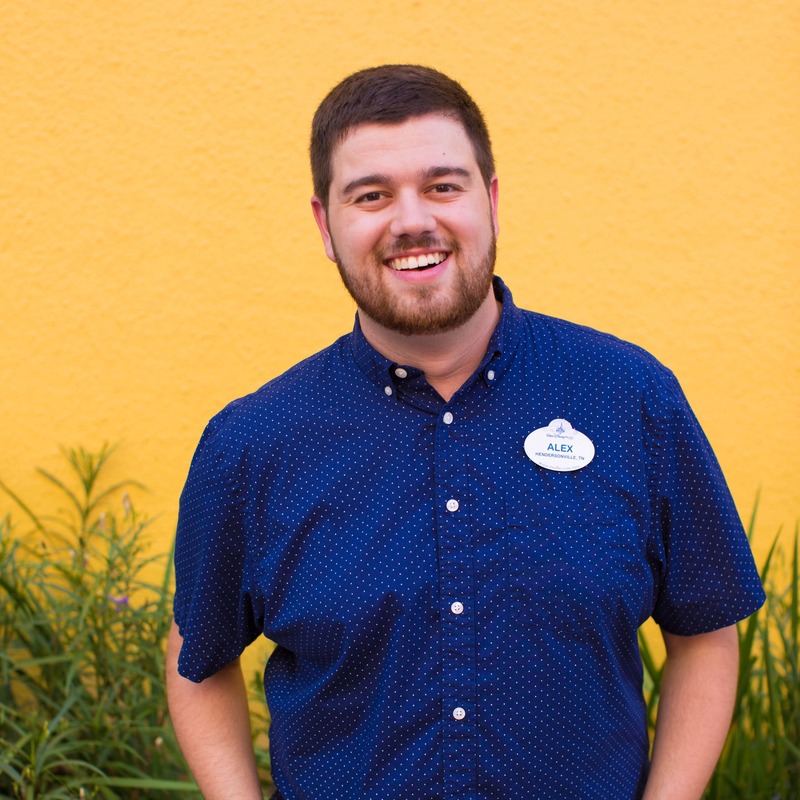 I do have a question though, did they renovate the handicapped bathrooms the way they did when they did over the Polynesian Resort? The reason I ask is we enjoyed our stay at the Old Key West very much but the HC rooms were retrofitted to become handicap accessible and were not very functional for my wife. I’m staying there for marathon weekend. Can’t wait! This is great! 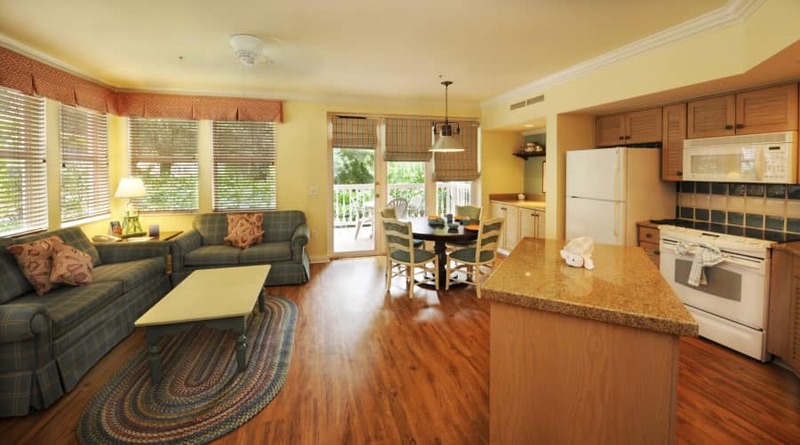 OKW is our home resort (was our only option back when DVC first opened). It’s great to see Disney is making renovations to such a wonderful resort. 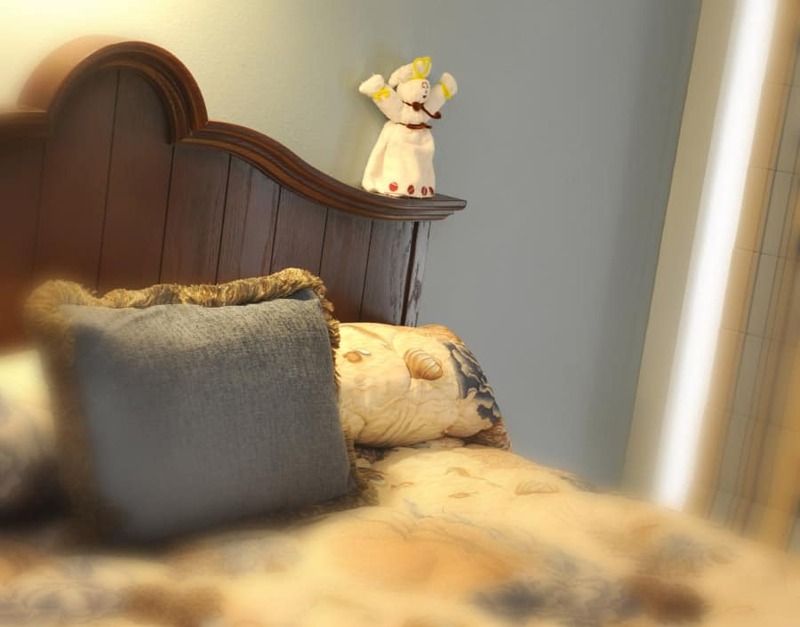 We love staying here above all other options not only because of the atmosphere, but the rooms are spacious! I love the new look! 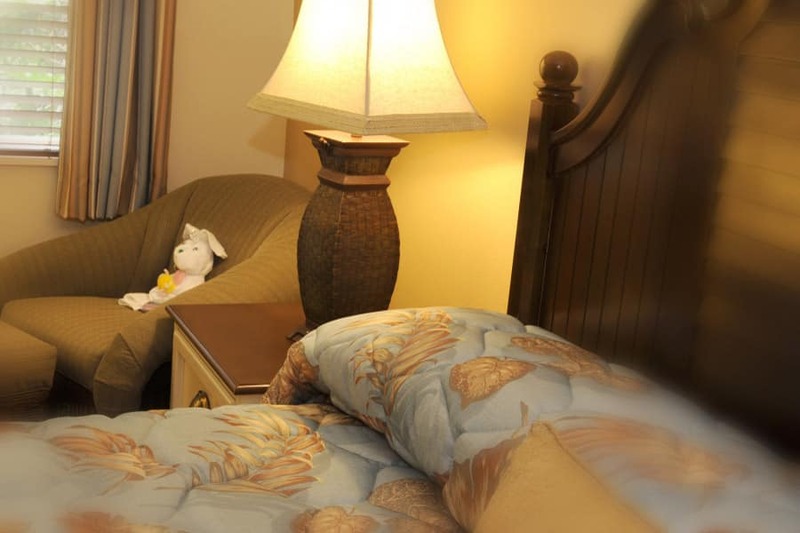 Never stayed at OKW before because I didn’t like the decor. But now I’m considering it for my next DVC vacation. We just came back from a 4 night stay in a newly renovated room. We loved every minute. 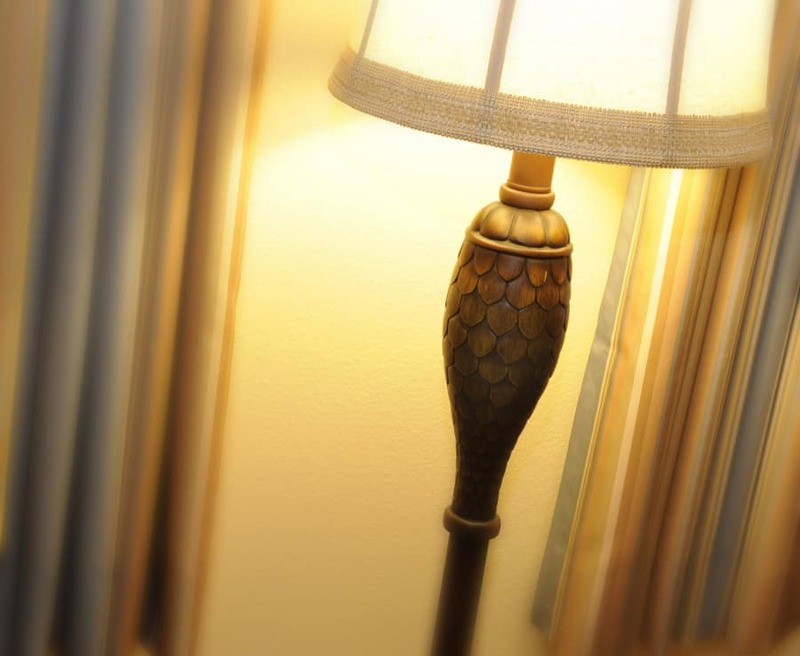 The new touches are wonderful and really make this relaxing, secluded resort even better. Thanks to the Disney team for such wonderful work! I have stayed at Boardwalk, Wilderness Lodge, and Animal Kingdom Lodge Villas but Old Key West is always my favorite. We always feel the most at home there. I love it! We just stayed in OKW in August for the first time and it was amazing. Everything was beautiful and the staff was wonderful. We stayed in a 2 bedroom villa, the whole place was perfect, the master bedroom and bathroom was huge and the guest bedroom was spacious even with two beds. The living room and kitchen area was large and more then enough room for SIX of us. We can’t wait to stay there again and we recommend it highly. 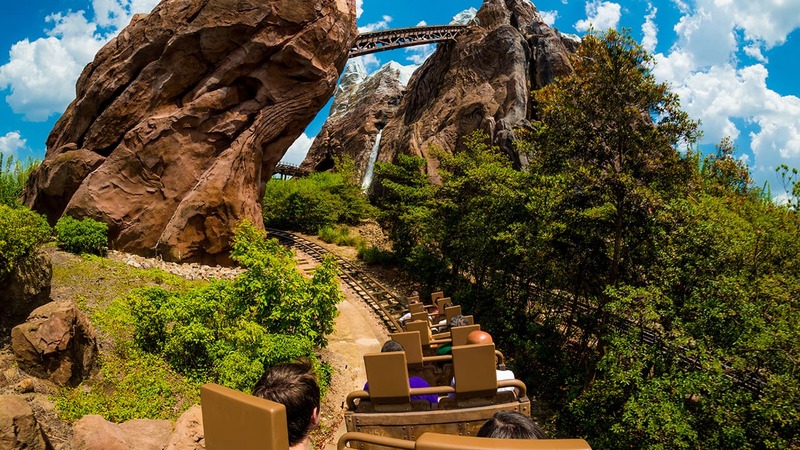 Enjoy your stay at the most magical place on Earth. WOW! I ready to come back! These Old Key West looks great! Nice, are all the rooms renovated? The one picture of the living area looks great, can’t wait to check in to one. We were just there last weekend but was in building 14 which hasn’t been refurbed yet. The other pictures are really cool, but I’d prefer to actually see the room instead of towel dolls and photoshopped blur. Get a wide angle lens and show us the bedroom, show us the bath! Beautiful rooms. I just LOVE how Disney pays attention to the smallest of details! Beautiful rooms! I just love how Disney pays such attention to detail!